The explosive flush. That unmistakable cackle. Man's best friend. Golden hues of far-reaching prairie. Family traditions. 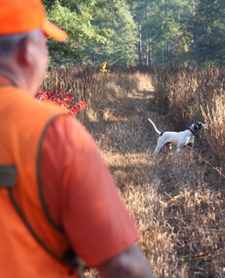 Whatever defines your reason to go afield each fall, Pheasants Forever strives to be a resource for pheasant hunters across the United States. Pheasant hunting is both an American pastime and outdoor tradition which renews its roots every fall as countless individuals and families set out to pursue the King of Gamebirds. Requiring knowledge, skill and late-season toughness as one battles the elements of Mother Nature, the thrill of success and defeat in pheasant hunting is what motivates the average hunter to pursue the wily rooster pheasant. The entire pheasant hunting experience, however, begins with good pheasant habitat, which is why every pheasant hunter—and there are approximately 2 million nationwide—should be a Pheasants Forever member. No organization does more to improve habitat that produces pheasants than Pheasants Forever. 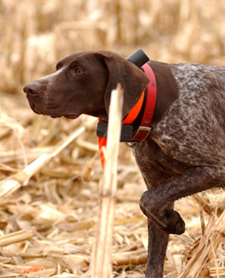 Pheasants Forever promotes pheasant hunting as a great outdoor activity. 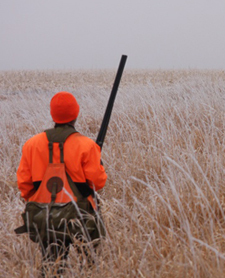 Whether you are new to the sport, a seasoned veteran, or just getting interested, Pheasants Forever has something for you. If you have a comment or question about pheasant hunting or how to get involved with Pheasants Forever, let us know by emailing Pheasants Forever's Public Relations Specialist, Jared Wiklund, at jwiklund@pheasantsforever.org.